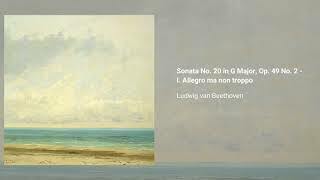 The Piano Sonata no. 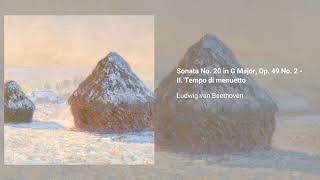 20 was probably written around the time Beethoven composed the 3rd and 4th sonatas, but because it was published in Vienna in 1805, nearly a decade after it was written, it was assigned then-current opus and sonata numbers, placing it amid works from the composer's middle period. In the case of this sonata and its immediate predecessor, it was Caspar van Beethoven, the composer's brother, who decided they were worthy of publication. Against the composer's will, he presented them to a publishing house, thus allowing posterity to hear works that might otherwise have gotten lost or destroyed. 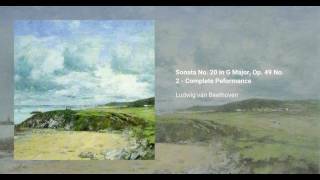 It is believed that, had Beethoven himself released this sonata for publication, he would have called it a sonatina, owing to its modest proportions.